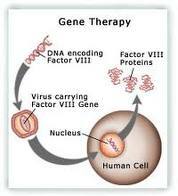 Gene Therapy, A New Treatment For Parkinson’s? 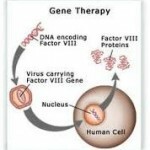 A new study has shown that gene therapy can reduce symptoms in patients with Parkinson’s, according to media reports. The study, published in the journal Lancet Neurology, is the first to show positive results in a test of gene therapy against a sham operation in 45 U.S. Parkinson’s patients. The treated group showed a 23.1 percent improvement on a scale of Parkinson’s symptoms six months after treatment, compared to a 12.7 percent improvement for patients who received sham surgery, according to the published research. *** A normal gene may be inserted into a nonspecific location within the genome to replace a nonfunctional gene. This approach is most common. *** An abnormal gene could be swapped for a normal gene through homologous recombination. *** The abnormal gene could be repaired through selective reverse mutation, which returns the gene to its normal function. 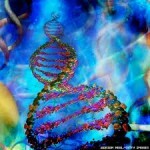 *** The regulation (the degree to which a gene is turned on or off) of a particular gene could be altered. In patients with Parkinson’s disease, their brains get overactive after losing the normal supply of a chemical called GABA. The new treatment, gene therapy, works by inserting billions of copies of a gene into patients’ brains that helps them produce more GABA. Kaplitt said the results might spur similar treatments for other brain disorders like Alzheimer’s, epilepsy and depression.